Comments Off on Come One, come all! The annual RING members meeting is scheduled for March 16, 7pm at the Mormon church (Payson and Riverside) in Inwood. All up-to-date members may vote on the bylaws at that time and will receive a link to the draft bylaws prior to the meeting. We’ll also talk about board elections and volunteer opportunities as well as our plans to apply for a 501c3 tax exempt status. To join or renew membership, click on the membership tab above. Come one come all to RING’s holiday party. Refreshments will be provided by the Tryon Public House, song books loaned by the RING garden, the tree and menorah will both be celebrated this night. Come at 4:15 to be ready for lighting at sunset. 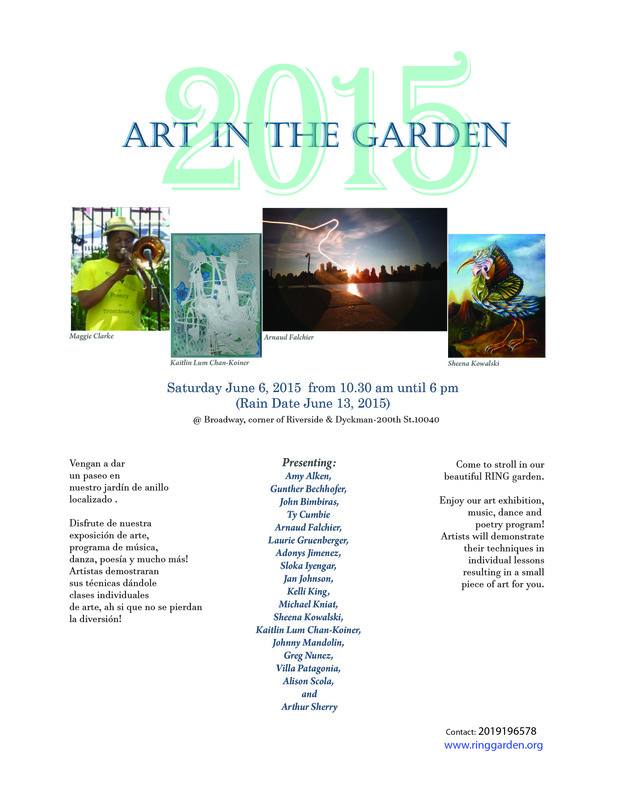 Announcing the 15th Annual ART IN THE GARDEN, This Saturday at RING! 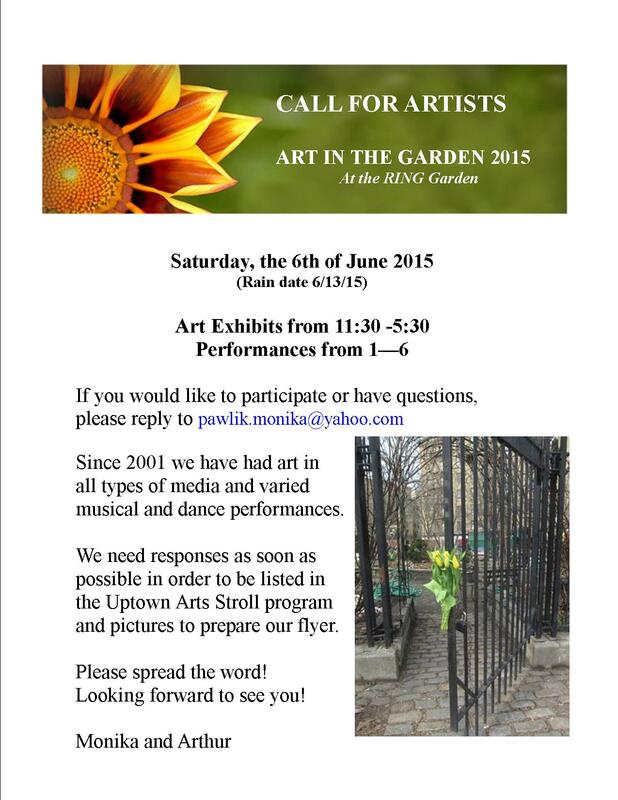 Posted on May 31, 2015 | Comments Off on Announcing the 15th Annual ART IN THE GARDEN, This Saturday at RING! Comments Off on Announcing the 15th Annual ART IN THE GARDEN, This Saturday at RING! 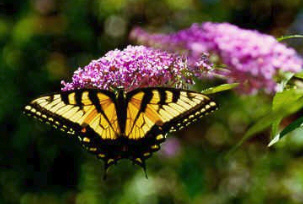 As a MEMBER, you can enter RING at will, and host a garden event or community gathering. Our open hours are weather permitting and depends entirely on VOLUNTEERS. Garden volunteer days are most Saturdays. Free training is provided to volunteers. If you are interested in becoming a RING VOLUNTEER, click here to learn of volunteer opportunities and to fill out the Volunteer online form. Have you been a member for a little while (or a long while) and wanted to help out in some way? We have openings in the RING Board now, and encourage you to come forward. Being a RING Board member means that you have a larger role in deciding what goes on at RING, for example, what we plant, what events we have, what we buy, how we raise funds, and how we communicate with RINGers and those from the outside. RING can't survive without volunteers. We need you please give it some thought and if you have ANY questions, hit me with them. E-mail Maggie Clarke at maggie@maggieclarke.com. 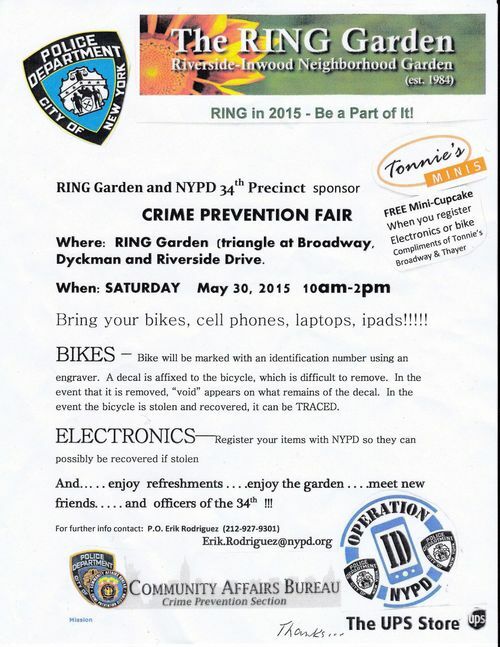 The RING garden is located at the confluence of Riverside Drive, Broadway, Dyckman Street (200th) and Seaman Avenue in the Inwood section of Upper Manhattan, New York City. E-mail maggie@maggieclarke.com to contact Maggie Clarke. Subscribe and you'll be kept up-to-date on RING events, membership & volunteer opportunities and other garden related news. Click here to subscribe. Sign on into your Facebook account and then click on the link to see view RING's photo albums.